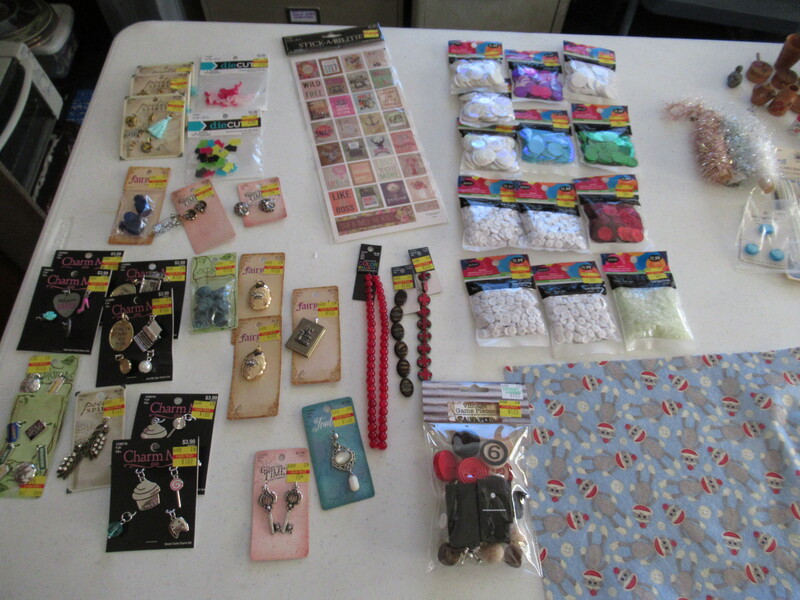 Hobby lobby haul, thrift store haul , yard sale haul, so many treasures !!! I have a table full of wonderful right now, and I wanted to share it with you !! 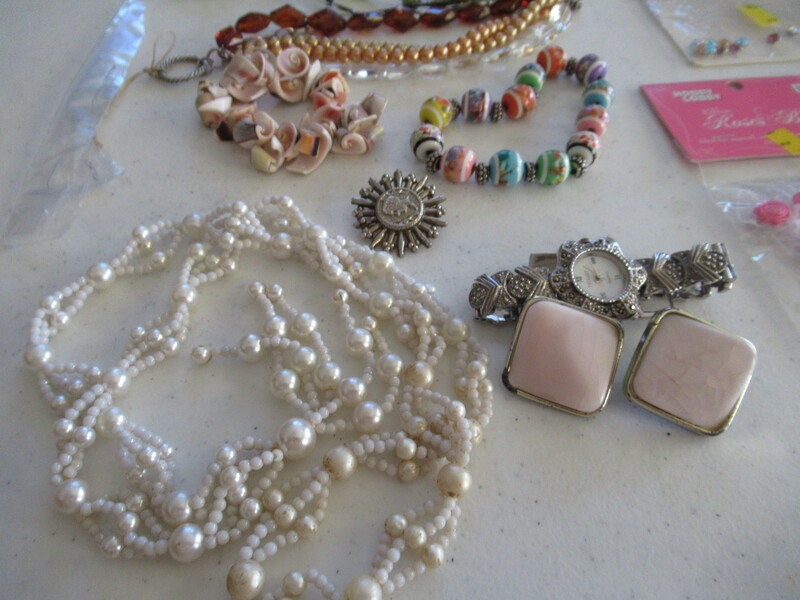 On Thursday afternoon my husband and I got the chance to go to a big estate sale at a bit estate, and I got some fun treasures !! 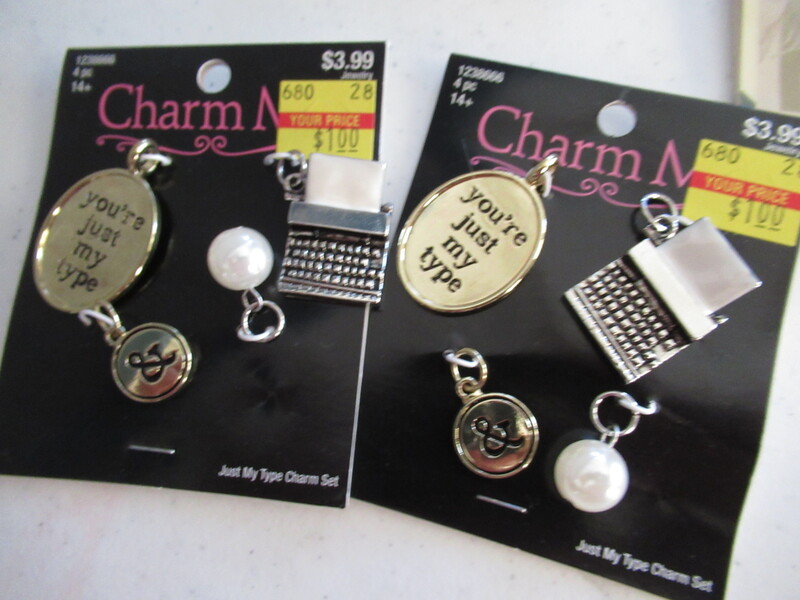 He got a couple of tool type things too , but this is a jewelry blog, lol !! 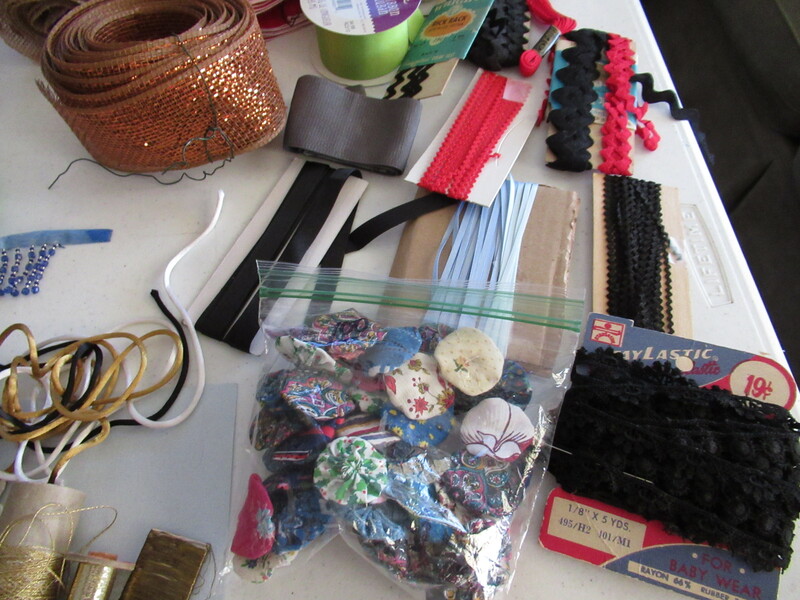 lots of fun trims and ribbons, I gave some of the bias tape to our oldest son who makes costumes for his YouTube channel, so they are not in the picture. 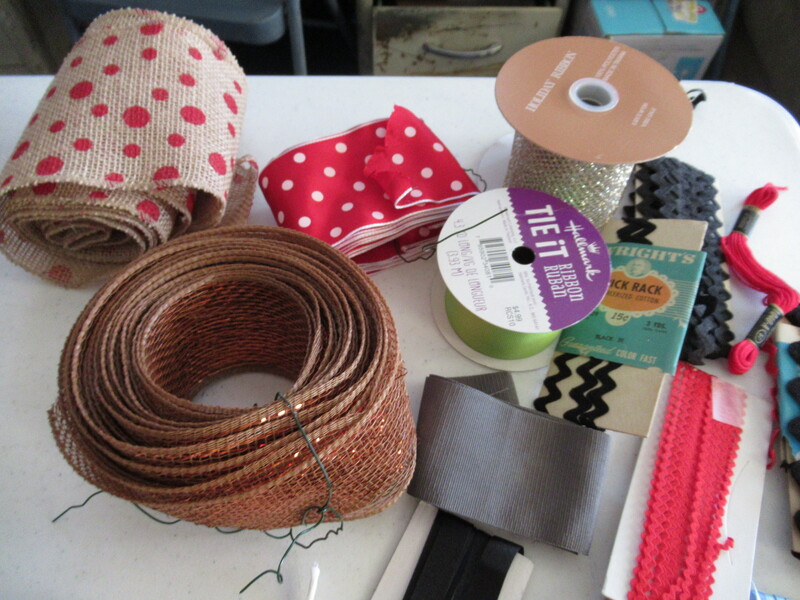 I love the orang ribbon and the burlap with the dots. I believe I paid 50 cents each for them. Some bright green Hallmark brand ribbon and inch and a half wide, just shy of four feet left of the original 12 feet, paid a quarter for it. 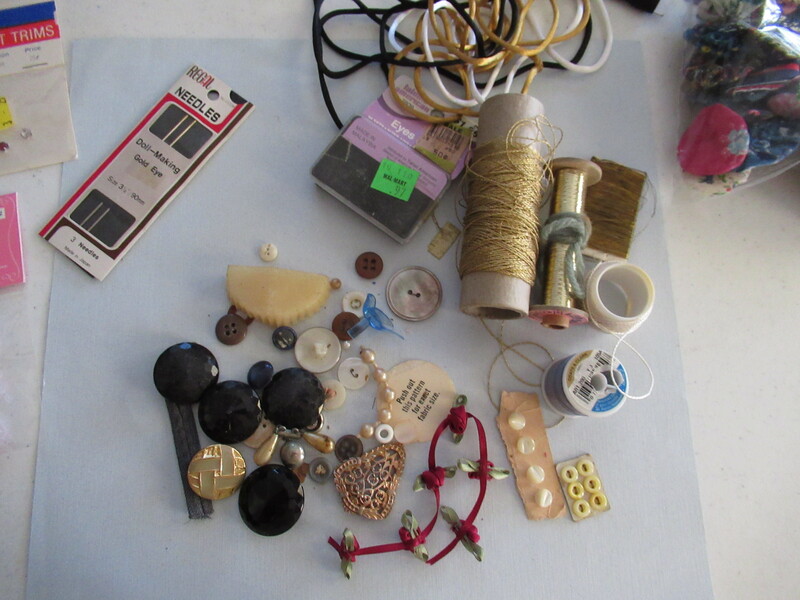 some tiny buttons, you can see next to the ribbon rose and the average size spool of thread how small they are !! 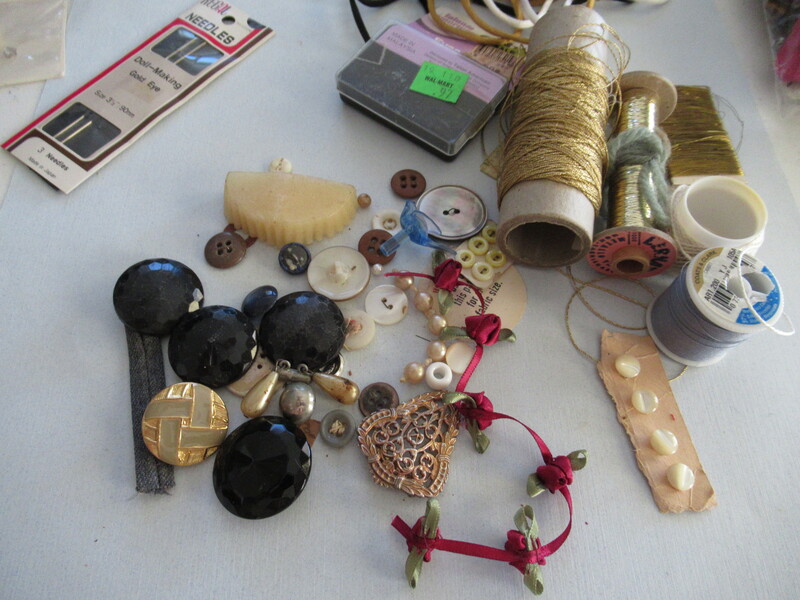 some rattai and some doll needles, and some eyelettes, and misc buttons. 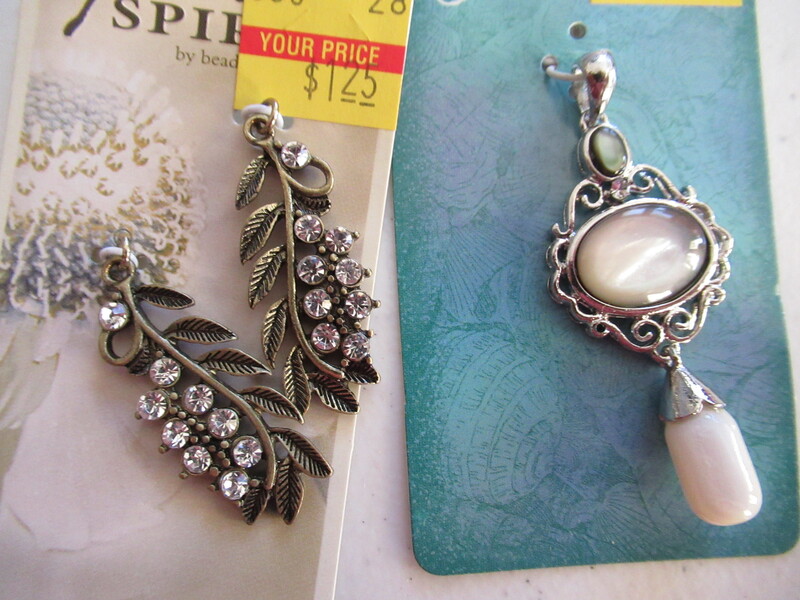 My husband and I went to some antique shops in our area and I got some real treasures, very cheap !! 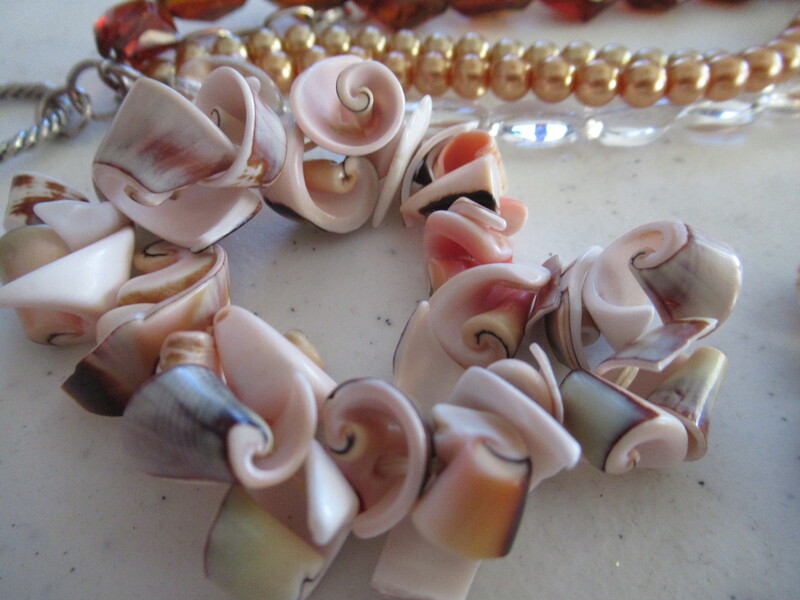 Love these shell beads, reminded me of roses, I know I can figure out something fun to do with them !! I paid a dollar for the bag with it and some other things in it. 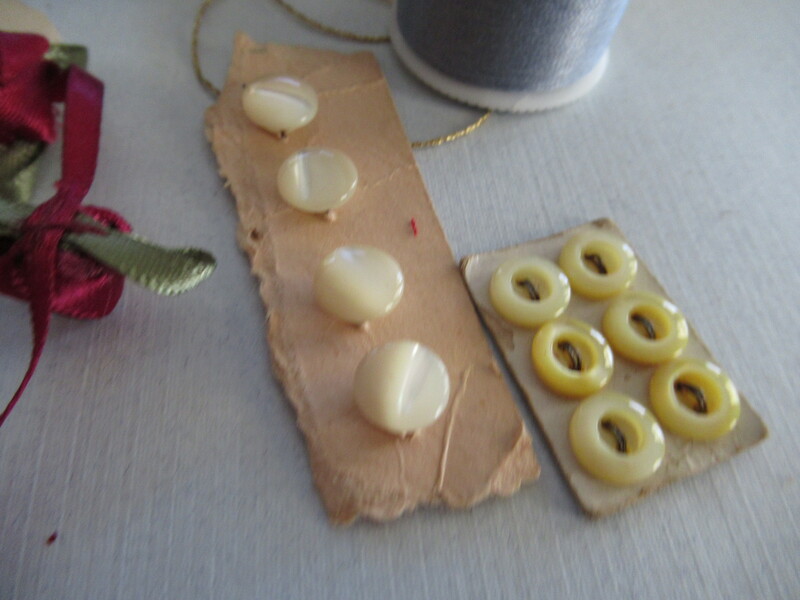 Fell in love with these tiny garlands, they are on old fashioned laundry pins, the kind that do not open and close. Loved the colors, I paid a lot for them, 2.25 each, but 5 yards per color, seemed pretty good to me ! 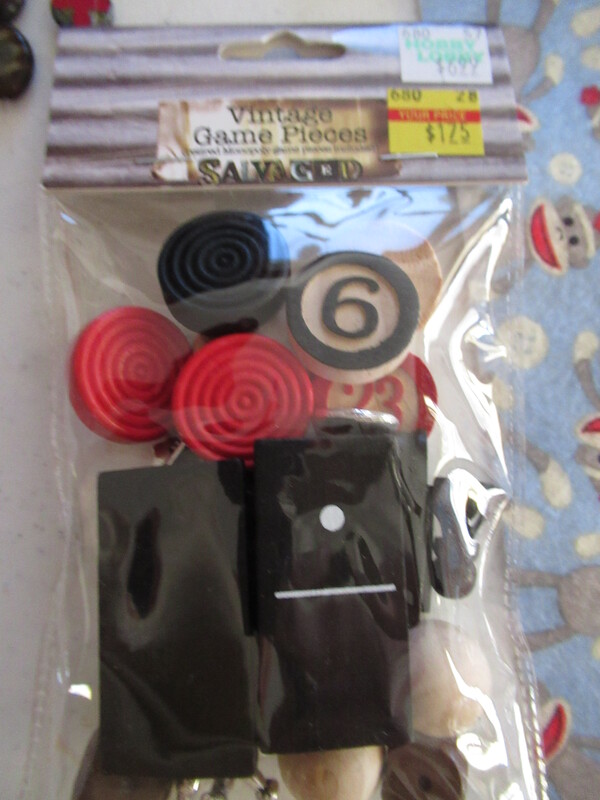 !Plus getting the old fashioned laundry pin too, I was pleased with this deal !!! Green neckjlace is loaded with lots of pretty green glass beads, one dollar .Brown beads with two strings gold pearls, and some clear beads for a buck, that was a great deal too. 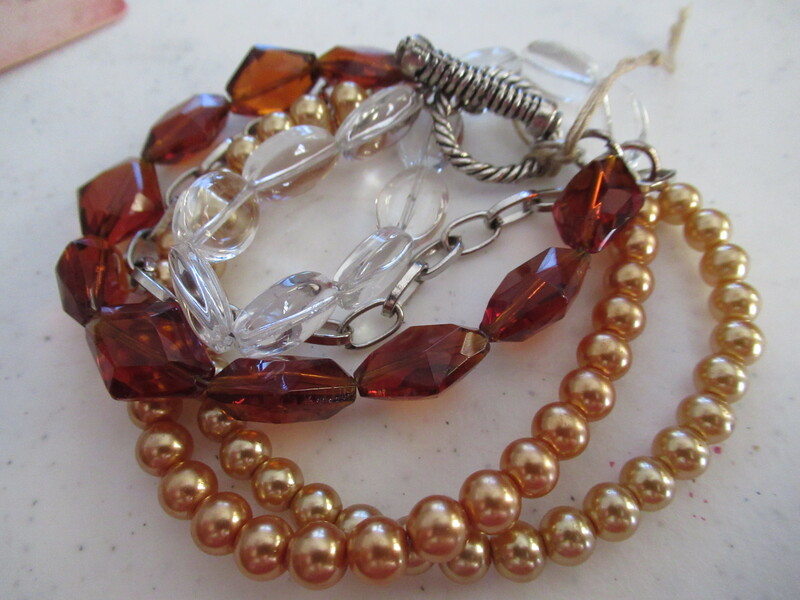 Plus a piece of chain and a nice toggle clasp. 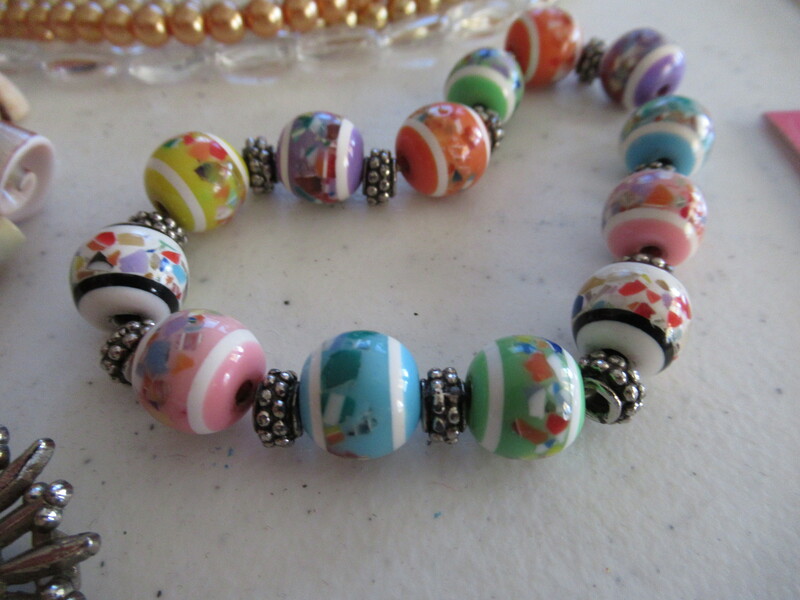 the shell bracelet again with the colorful beaded bracelet and unusual pin that came in the bag for the dollar. 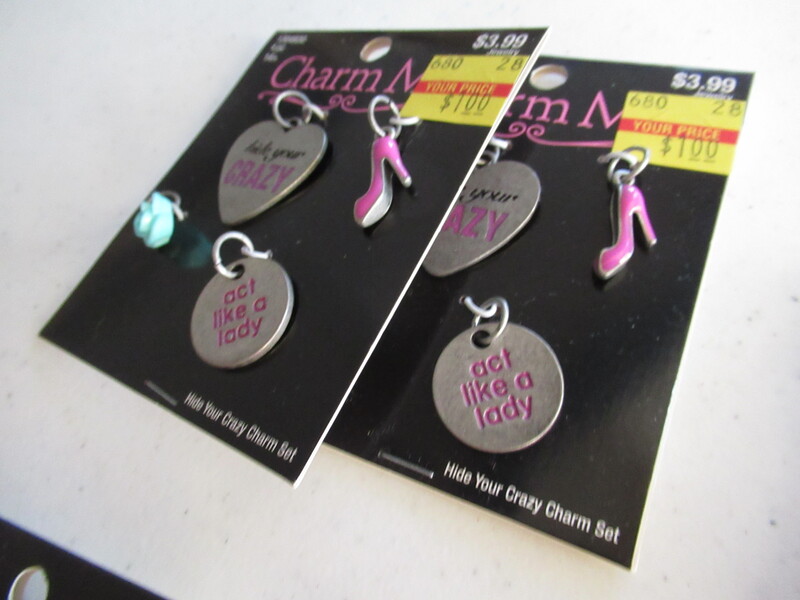 The last dollar I spent was for the pearls , pink earrings and watch. 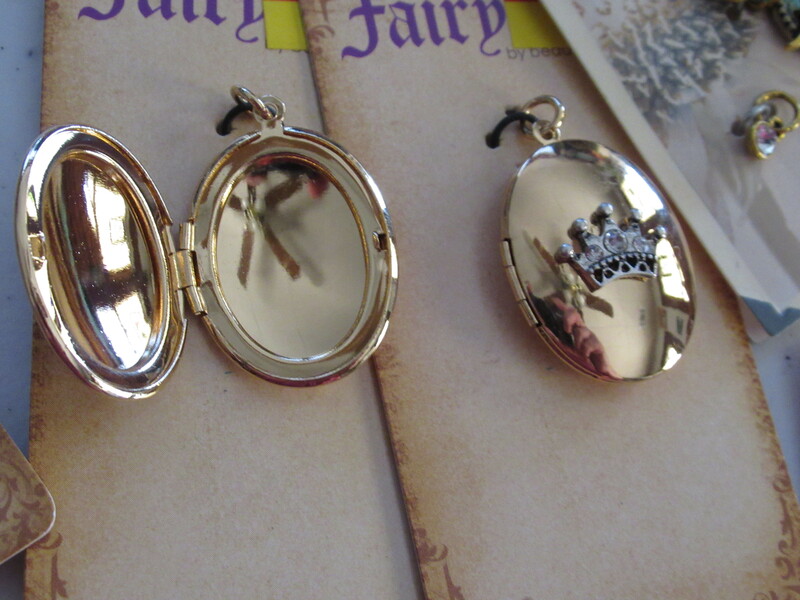 All really pretty items. Hobby Lobby goes through when the new season is starting and gets rid of a lot of stuff. I had read others getting deals in Jan, but i found so much stuff at 75 percent off . I picked up a lot of cool stuff and wanted to share it. You might not be able to get these exact things, but you can keep an eye on your own store and watch for their clearance sales which should happen every so often. 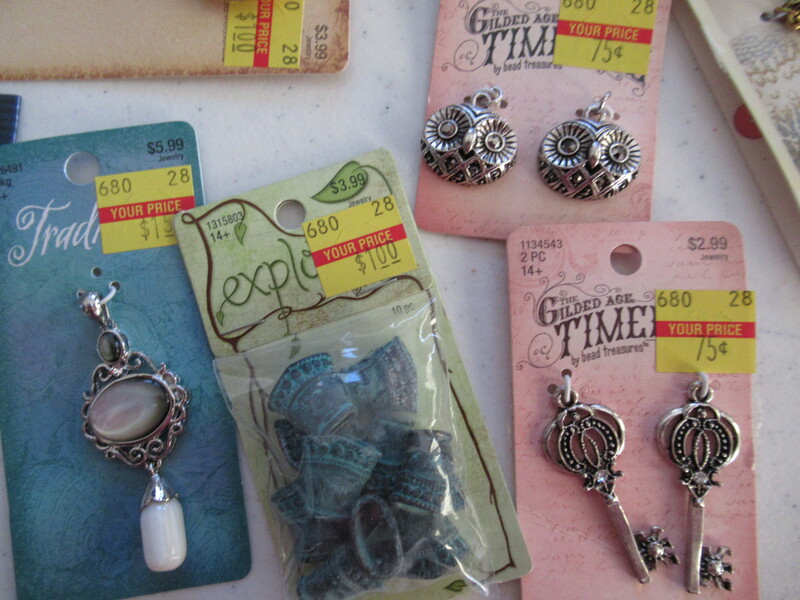 You really need to go into your Hobby Lobby fairly often to get the best deals, if you only go a few times a year, you probably will not be able to find near as much . If you want to really score on deal, run through every week or two and check out the areas you buy from the most. Eventually you will luck out and hit those deals for yourself !!! I was told they had been marking down all week, so who knows what stuff I missed !!! I am pretty thrilled with what I bought. 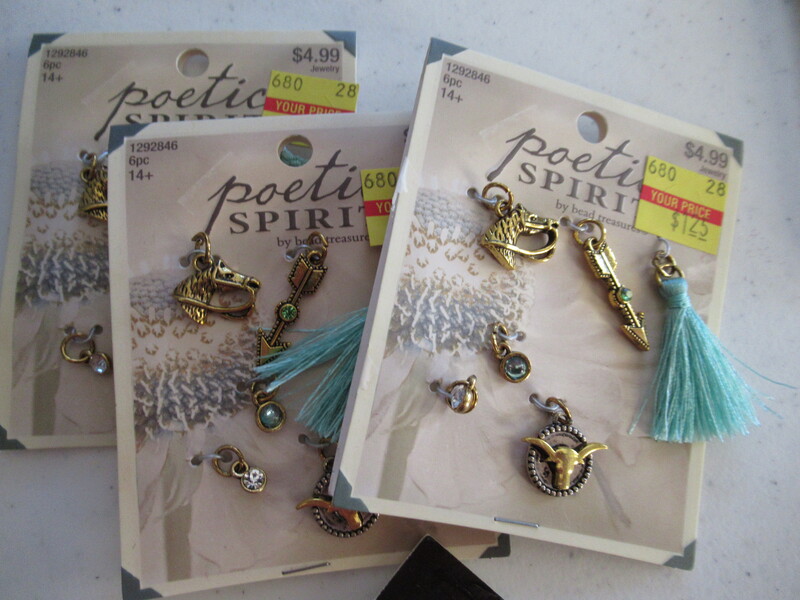 I spent 42 bucks , and at 75 percent off, it would have been 168 full price !! Fun stickers for some copper foil necklaces I plan to do. 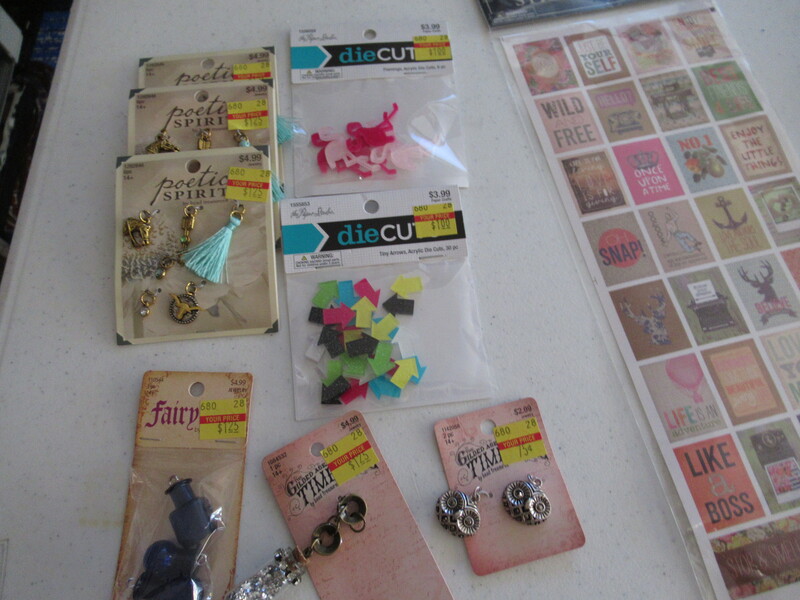 Some acrylic arrows and flamingos that should be fun as well. 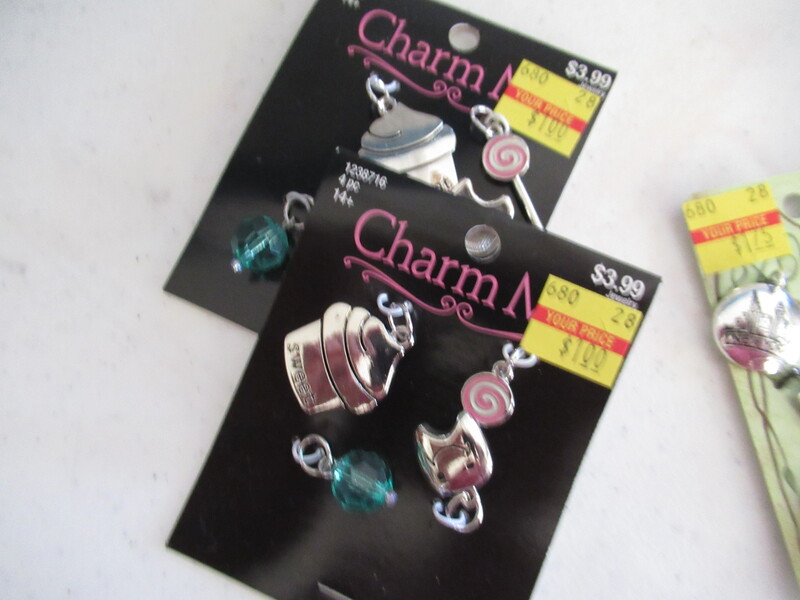 Beautiful owl charms, and some bottles, one filled with glitter and some blue bottles. this is the entire haul in one picture. I love the sock monkey felt. 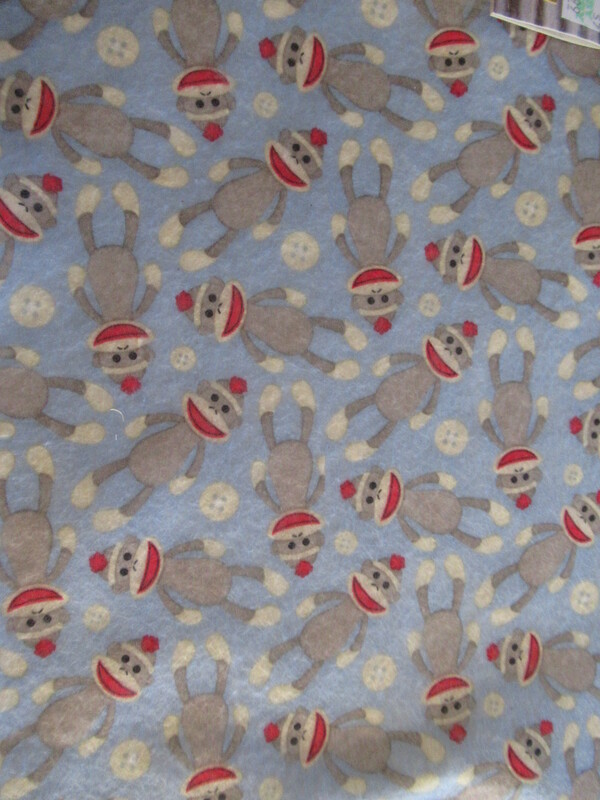 Our youngest grandson LOVES sock monkeys, so I plan to make him something out of that !! I love game pieces and have some vintage ones already, but this adds to my collection !! 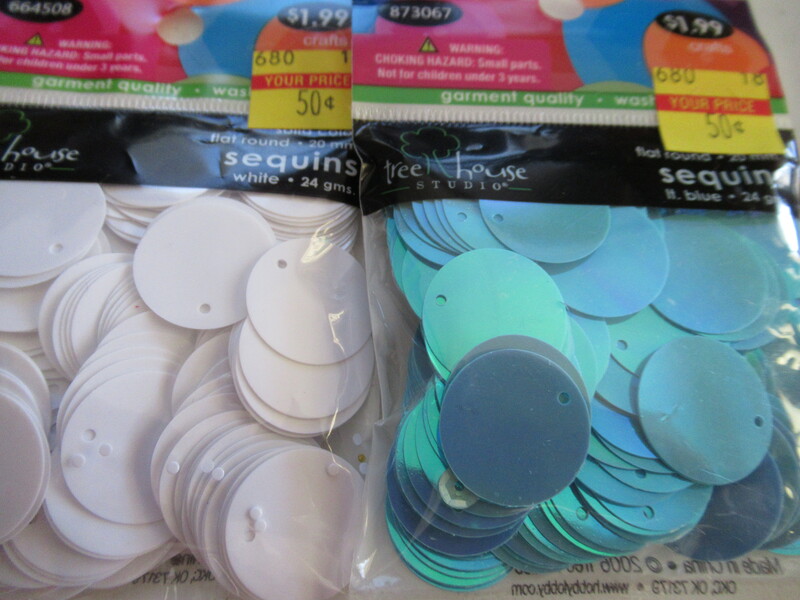 Any haul of mine is not complete without sequins. 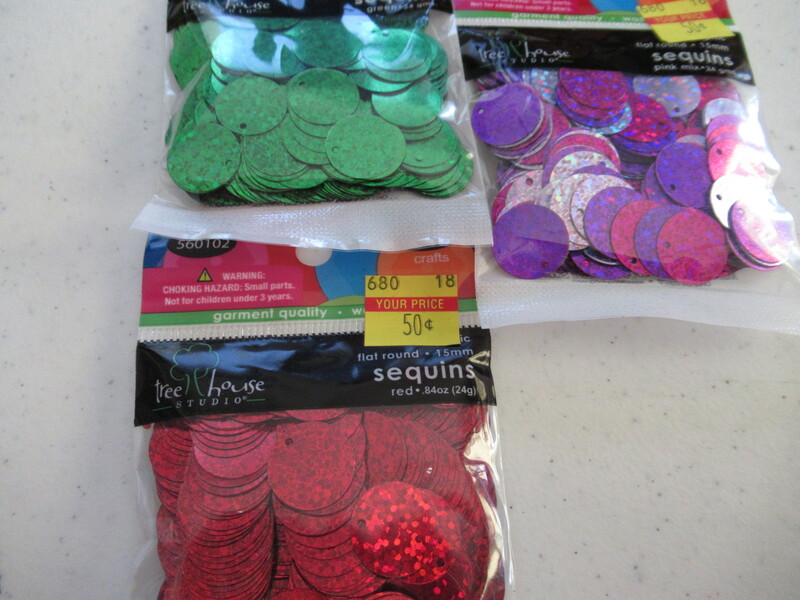 I had already found a bag of the HUGE cupped sequins a week or so ago in the actual clearance isle. I had no idea that they had stuff marked all over the store and left in place. So, I grabbed what was left at that price. 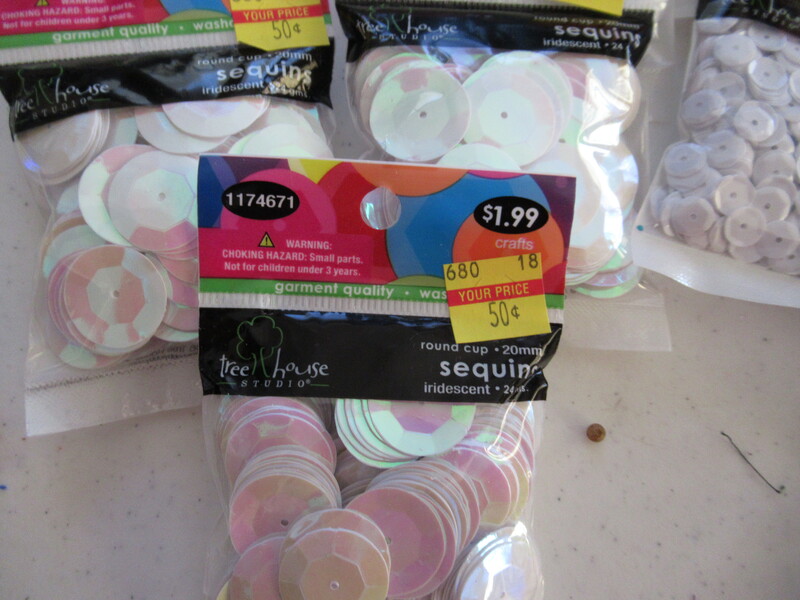 Now I did not grab all the discounted sequins, but all the huge semi cupped, which was three bags, I grabbed. 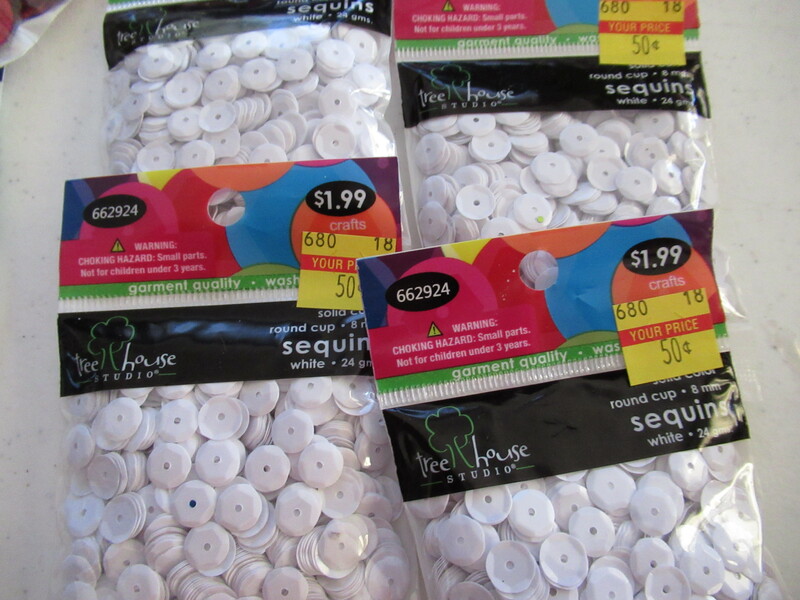 I also grabbed four bags of the smaller white cupped sequins, and one each of the larger top hole flat sequins. 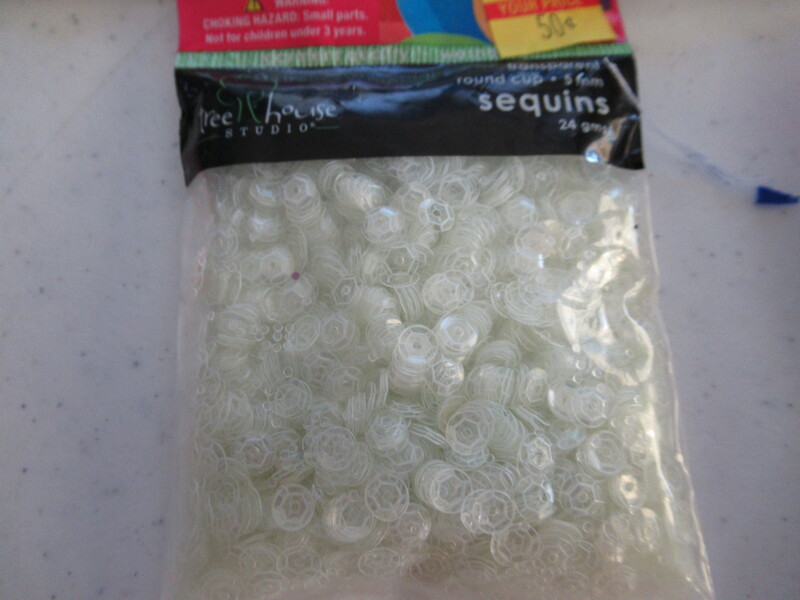 I also picked up one bag that looks like it is glow in the dark, but it is just clear. all were 50 cents per bag. 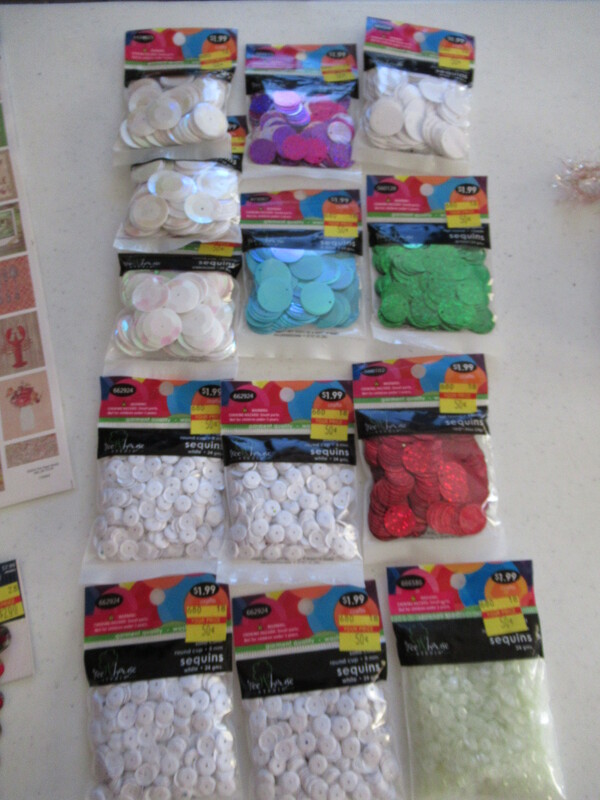 Opaque white and turquoise, a holographic red and green, and the pink and purple bag is holographic as well. 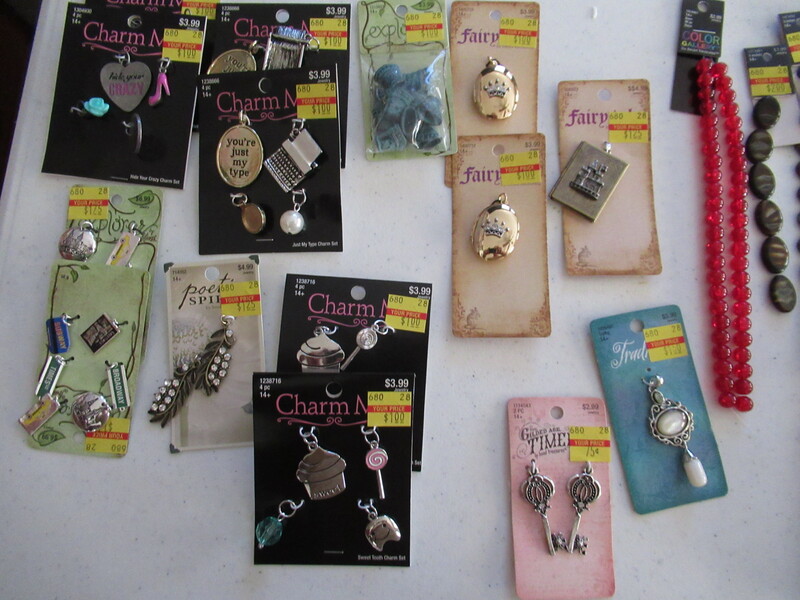 more fun treasures charms galore !! 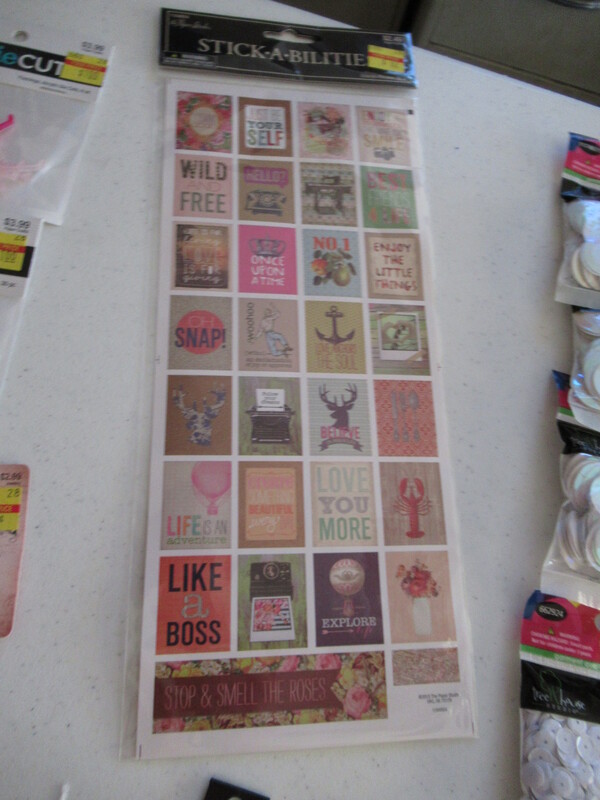 Lots of cute ones and bought multiples of some. Some only had one. 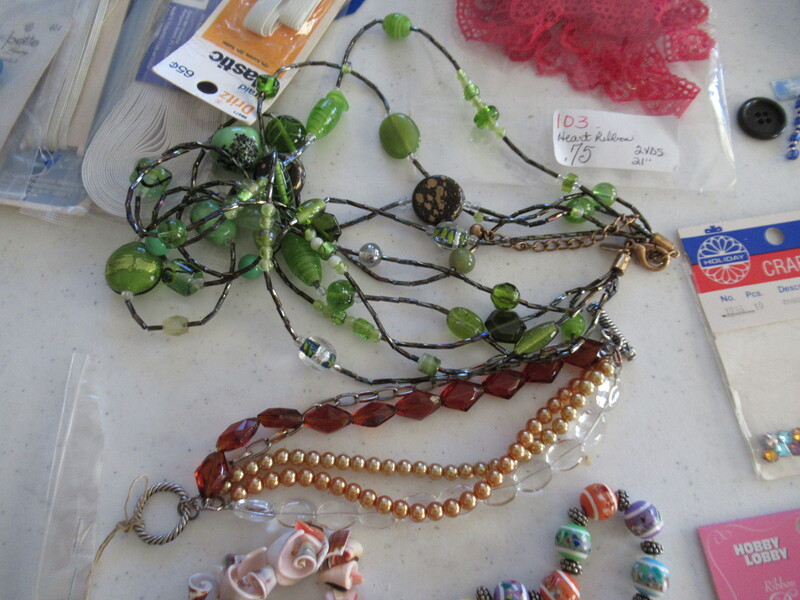 Two strings of Czech beads 2 bucks each, marked down from 8 bucks, great prices and one red bead at 50 percent off. Normally 3 bucks, got it for 1.50. It was one of the double strings so I felt that was an excellent price for it !! here are some close ups of what I got . 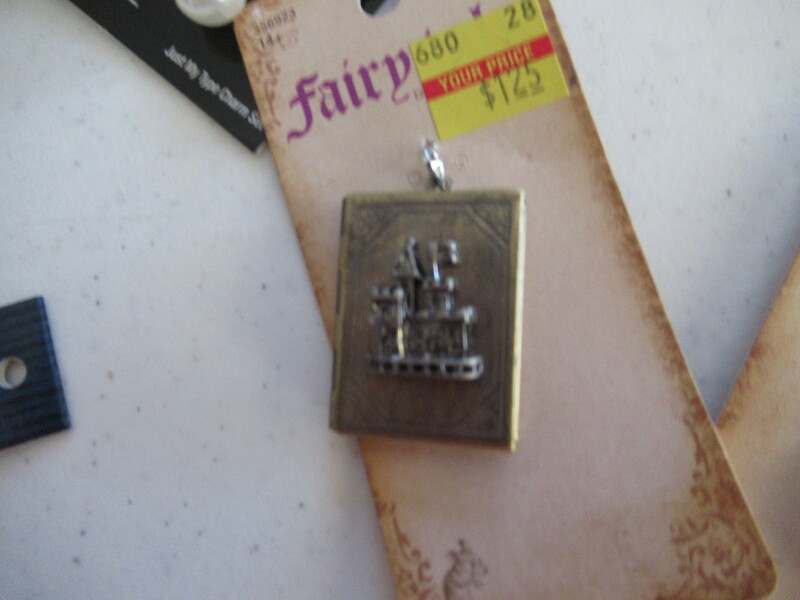 all the lockets, this one and the two above, and the NY charms below, are all things my hubby picked out. 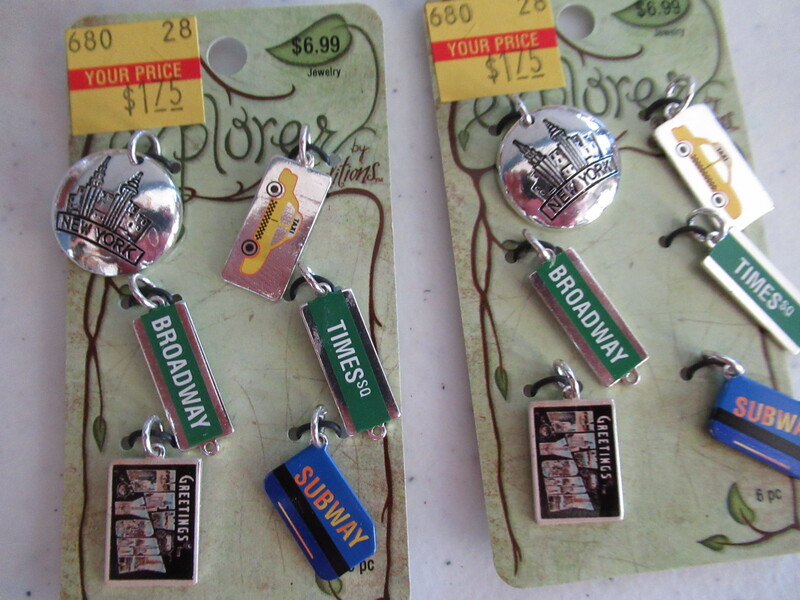 He thought the NY set would make great wine charms, so I picked up two !! So much fun stuff, now it is time to get creating again !!! Thanks so much for stopping by !! I really appreciate it and hope you will come back again !! A yard sale find is this purse. Not really that pretty, but for a buck, I have a lot of elements to remove. 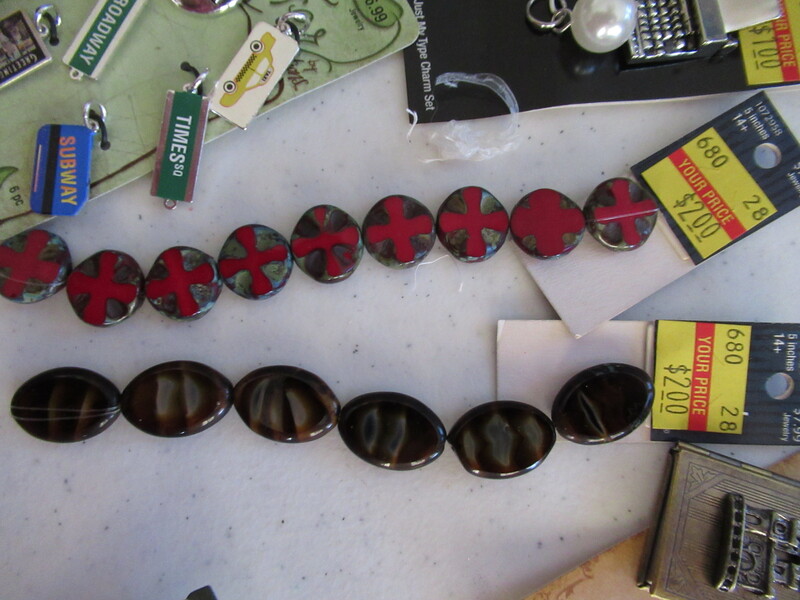 I even like the handles and might be able to make a bracelet from them , two double bracelets might work. 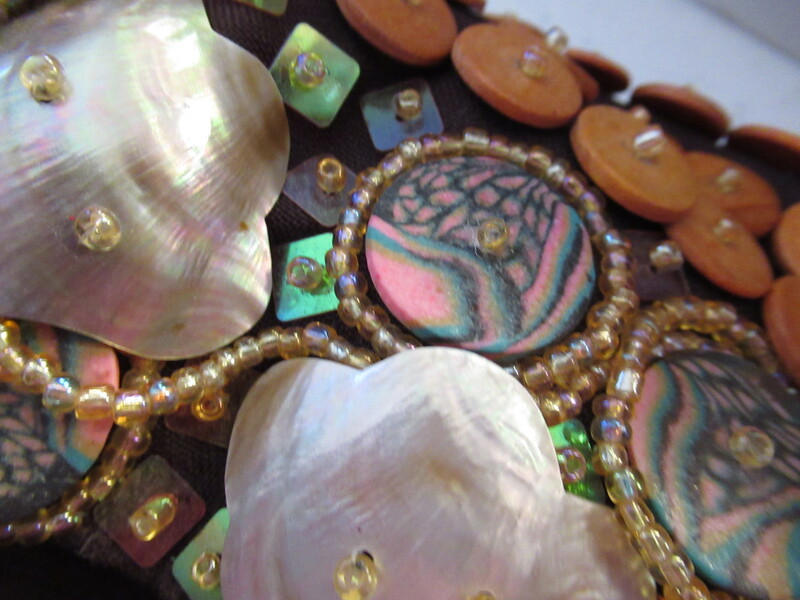 Wooden sequins, or buttons, however you want to look at them. Hole in the middle makes them more like sequins to me. 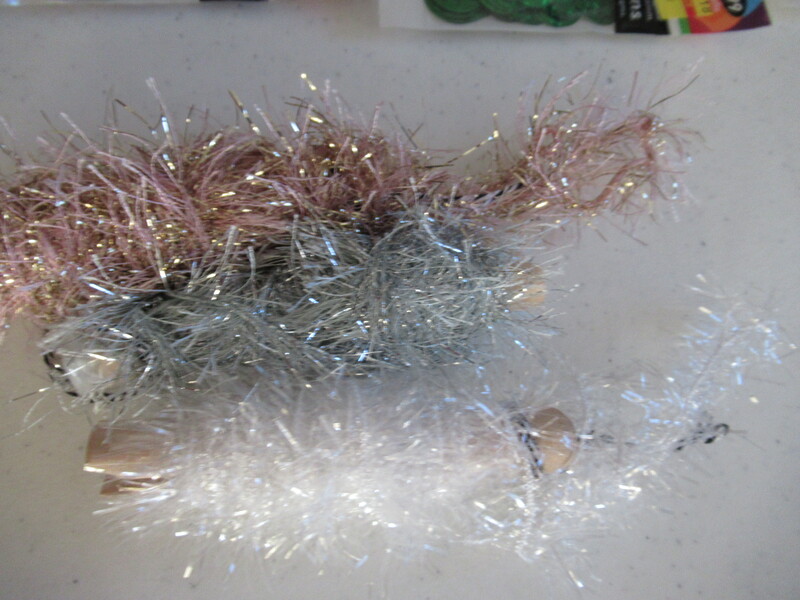 Seed beads over each wood sequin and wound around the elements on the front top, and some sequins, clay disks also, and some square sequins, along with some shell in pretty shapes, some small, some large. So, for a buck there are a lot of elements I can reuse on this purse. I will share when I take it apart. So, those were my hauls for last week, got really lucky and found some really awesome stuff at great prices !! When yard sales start back up I will share my finds when I get out to some sales. I am planning on hitting some every week with our oldest daughter. She is excited to go as well !! Thanks for stopping by !! I hope to start creating more and sharing what I do here. ← Goodbye February……hello March !